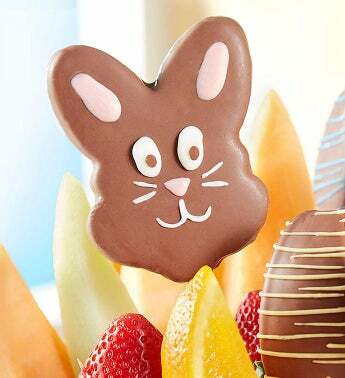 The Easter Bunny’s got nothing on our enticing fruit arrangement! 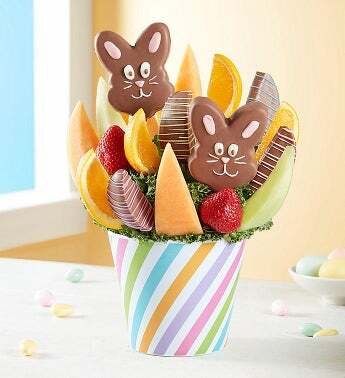 Delicious, bunny-shaped pineapples are surrounded by a sweet mix of strawberries, melon, apples and oranges. It’s all served up in a pastel-striped container, adding some festive fun to your holiday celebration.